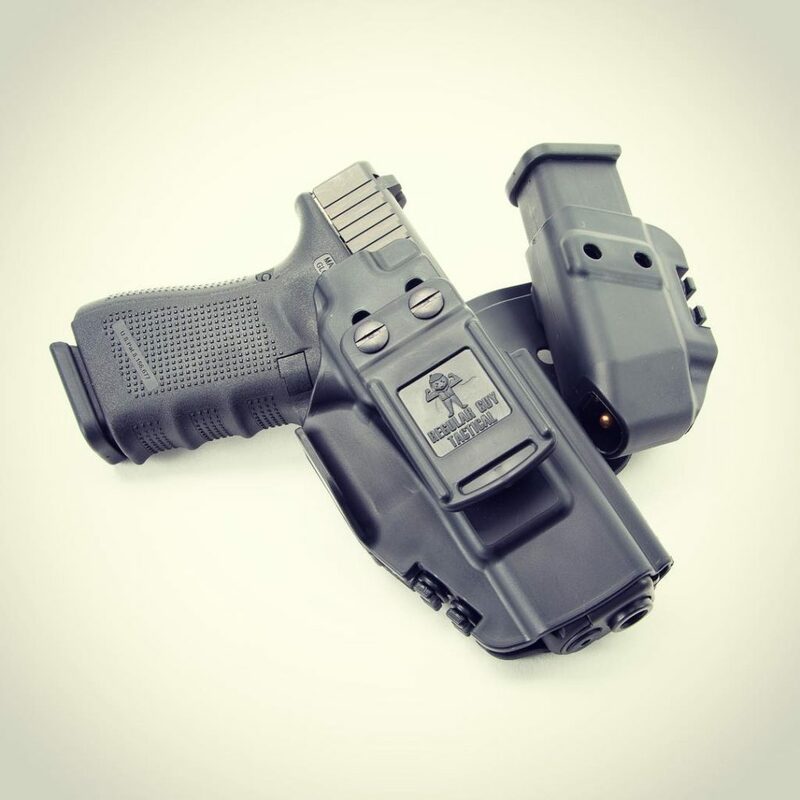 Regular Guy Tactical has opened pre-orders for their new Modular Holster System. 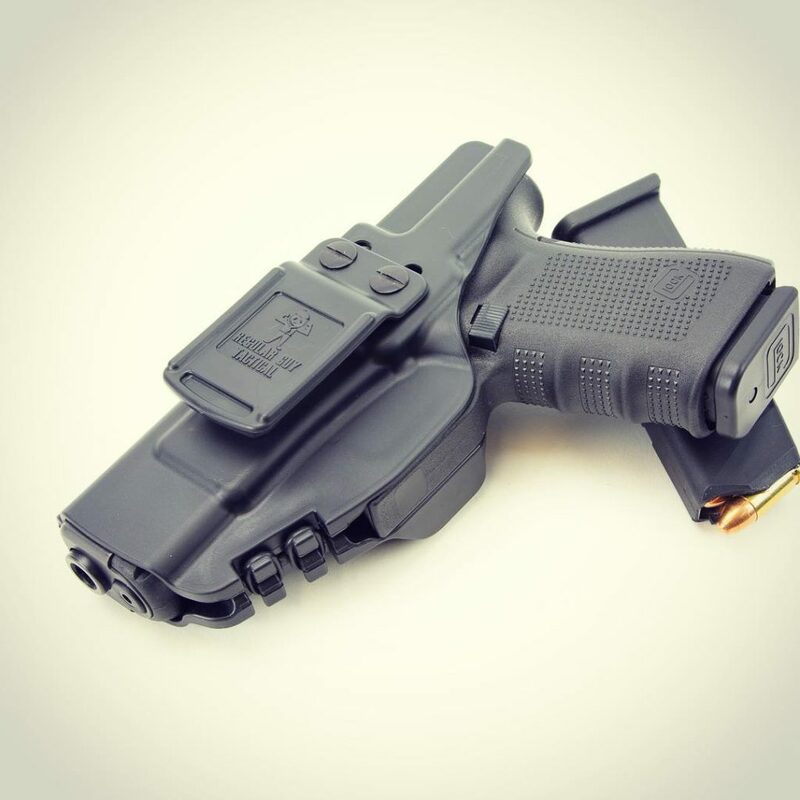 To say that launching an injection molded item as your first product is ambitious would be an understatement but this holster has more than enough clever features to merit taking a look. The Modular Holster System can be worn as an AIWB holster with integral magazine holder. It can also be worn with just the holster in AIWB, IWB, or OWB configurations. When worn in the AIWB with mag holder configuration, the holster and mag holder are both adjustable for height and cant. Both the magazine holder and holster are mounted to a wide curved plate that spreads the pressure of the holster over a wide area on the wearer’s body for comfort. The holster is tensioned with o-rings. This very clever feature makes it easy to adjust the tension by adding, removing, or swapping o-rings and there is no hardware that requires thread-locking compound just to maintain your desired tension. Finally, this holster should benefit from the process of injection molding. It has a smooth outer profile and won’t have some the issues with breakage from flexing that similar kydex holsters can exhibit between the holster body and magazine pouch. Regular Guy Tactical has even taken the time to design countersunk screws into the mold so that they can never contact your handgun. This isn’t just a kydex holster that has been shoved into an injection molder. They really seem to be leveraging the advantages of the technology to improve their product. The Modular Holster System is available for the Glock 17, 19, 45, and similar sized Glocks along with the Sig P320.